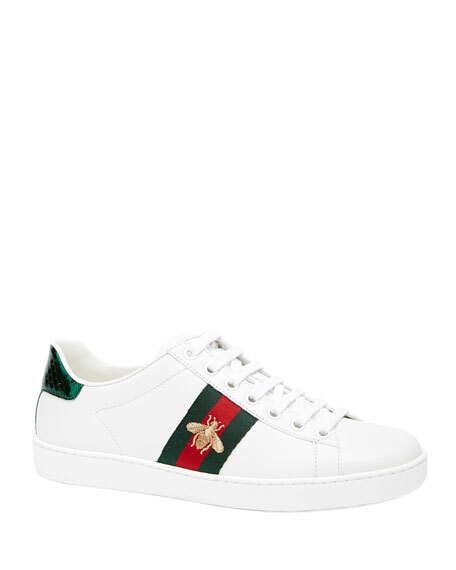 Gucci leather sneaker with bee embroidery at green/red/green webbing. 0.3" flat heel with platform. 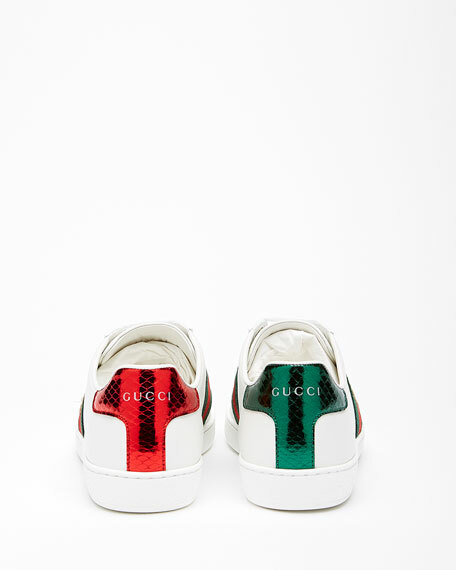 Gucci sneakers in mixed colorblock technical canvas, leather, and suede. 1" flat chunky heel with platform. Oversize, "dad sneakers" design. Gucci sneaker featuring GG Supreme leather. Green/red/green web at sides. Red and green contrast heel counters with embossed logo. Leather trim. Round toe. Grip-strap upper. Rubber sole. Made in Italy.